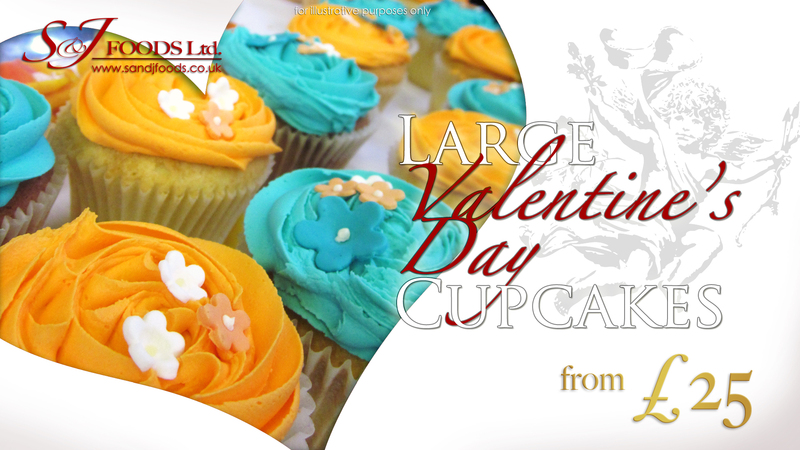 Until February 7th, we have a special offer on Large Valentine’s Day Cupcakes. Serenade your #1 love with a lovely decorated, scrumptious treat in an assortment of flavours, including Vanilla Sponge, Chocolate, Red Velvet and Carrot. The diameter of the cupcakes will be up to 4.5 inches with a height of around 6 inches. The price of your cupcakes depends on the complexity of your design, but will be between £25 – £30 .